The most important thing when analysing data is of course the data itself. That is why we added even more auction observations to our database. 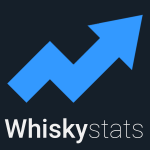 This is the introduction of the biggest ever whiskystats price update. Some of you may have noticed that this month´s price update took us a little bit longer than usually. The simple reason for this is that we did not only added the latest auction results to our database but also some additional historic prices. In total this update comprises 54.290 new price observations and 2.869 new bottles. Out of this data, 3.270 prices belong to the latest auctions that we assign to December 2015. Before we dive into the most outstanding results of these December 2015 observations, we will give you a short update on our whisky database`s specs. Please note that the figures we stated in our earlier monthly price updates do not correspond to those you find at our monthly summary tool anymore. This is due to the massive amount of new price observations which also affect the past! Our whisky database now consists of 16.355 whiskies with corresponding 183.338 price observations. Therefore, the average number of prices per bottles climbed from 9,6 to 11,2. There are also ten new bottlers, which means that we now cover 193 different bottlers and 143 different distilleries. The major distilleries (measured by the relative share of the secondary market) are Macallan, Bowmore, Springbank, Port Ellen, Bruichladdich, Caol Ila and Ardbeg. Compared to our pre-update database, this means that Bowmore and Bruichladdich each climbed by two places. When we look at the major bottlers, the Scotch Malt Whisky Society made it to the top 7 and Murray McDavid had to leave this illustrious round. You can find the exact figures at our Database Overview. The 3270 price observations of the latest auctions affected 2049 bottles in our database. The average price per trade was 337 Euros which is slightly below the average of the last twelve months. The most traded distillery is (as always) Ardbeg, followed by Macallan. The list of the top five most traded distilleries is completed by Bowmore, Bruichladdich and Laphroaig and thereby dominated by the Isle of Islay. Remarkable is that we observed 271 trades of japanese whisky. This means, that Japan is the fourth most traded region this month and left the Islands, Campbeltown and the Lowlands behind. Over the last six months, the list of the ten most traded bottles was dominated by the Ardbeg Perpetuum Bicentenary Release. With 21 observed trades, this recent Ardbeg Committee bottling is still heavily traded but didn’t make it to the top of the list. The title belongs to the Yamazaki Limited Edition 2014 of which 22 bottles changed their owners. Both of this bottles share a comparable price history though. Since their first appearance on the secondary market the respective prices dropped by 30% (for the Yamazaki) and by 50% for the Ardbeg. Another honorable mention on this list is the Lagavulin Feis Ile 2015 bottling. Since June 2015 we observed 128 trades of this bottle. After an interim high at more than 500 Euros the paid prices are now back at around 460 Euros. Each month we look for the bottle that we haven’t seen the longest on any auction. In this month, the title of the Comeback of the Month belongs to the Bowmore 13yo (Vintage 1989) bottled by Dun Eideann. With only two price observations, this bottle exactly meets our minimum criteria to be displayed in our database. The first price comes from November 2005(!). Back then, 66 Euros were paid for this whisky. The December 2015 observation is exactly 100 Euros. We wonder how long it will take to see this bottle again. As we monitor the whisky online auctions each month, we constantly stumble upon new bottlings that we have to add to our database. The December 2015 observations brought 233 new whiskies to our database. The most remarkable of those even belong to the same series. These are the Four of Spades and the Five of Spades from the Hanyu Playing Cards series. The first time these two bottles popped up on our radar was back in October 2010 and July 2012, respectively. So this prices come from a time way before the Japanese Whisky Boom. As one could expect, the prices of around 150 Euros didn’t quiet stay the same. The Five of Spades was sold in December 2015 for 1600 Euros. Even more impressive is the Four of Spades which was traded for a whopping 3400 Euros! On the other side there is the Laphroaig 8yo (Vintage 1988) from Samaroli. Back in June 2015 more than 650 Euros were paid for this bottle. Compared to that price, the 190 Euros from this months auctions seem like a real bargain. The Hanyu Four of Spades grabs it’s second title in a row. The 3400 Euros that were paid for it in December 2015 make it not only the comebacker of this month but also the best value gainer. The corresponding change in price is a plus of 2350%. The podium is completed by two other bottlings of the Hanyu Playing Cards series. Place three belongs to the Five of Spades, which is also one of our comebackers of the month. The Jack of Hearts took the second place. A trade of exactly 3000 Euros and the corresponding 1322% increase in price are the reason for this silver medal. To keep an overview on the secondary market movements, we always keep an eye on our regions indices. While most of this indices only moved slightly, it was Speyside which caught our attention this month. It’s index climbed by seven points, which is the third monthly increase in a row. Combining these last three month’s increases, this means that since September 2015 the value of the 100 most traded Speyside bottles climbed by 7,3%. With now 238 points this index is even close to break through its alltime high of 242 point from April 2015. As this month’s price update was delayed, the next one is coming pretty soon. Nevertheless, the new prices came just in time to be used as a guideline for the upcoming auctions. As we have seen in our first Auction Report, a profound knowledge of the past results can help to predict which bidding is necessary to succeed in the next auction. The Ardbeg Galileo is named after the father of modern astronomy and we are eager to find out if it tastes truly heavenly and if secondary market prices skyrocketed too. Name any measure and chances are high the whisky auction market of 2018 broke the record. More bottles traded, more money spent. Prices are increasing too, especially for the most rare and collectable releases. This topic contains 0 replies, has 1 voice, and was last updated by Whiskystats 3 years, 2 months ago.